Fleas and ticks are problems for your pets in Athens. These small pests can also create potential health issues for you and your family. Various tick-borne illnesses are spreading across the United States, and Georgia is no exception. Lyme disease, babesiosis, and other health issues are containable if you have effective pest control services in place for your property. A pet collar that controls fleas and ticks is a significant and proactive first step when reducing the population of these insects. Every time you step out of your home to enjoy the beautiful Athens weather, there is a risk that you could bring this pest inside. They can even come in on your pets when their collar starts to lose its effectiveness. Our expert technicians offer applications that will begin to reduce their population on your property immediately. This program will help you to achieve year-round protection during the height of their season to keep these pests at bay. Although you must still check your hair and your pet especially if there are several trees on your property, we can dramatically reduce the risks you face starting today. Our goal at Aardvark Exterminating is to make sure that our customers get the best value for their hard earned money. Our Athens pest control company will always address any questions and concerns that you may have regarding our pest removal services, techniques or products. Taking care of our customers are our first priority. Top Rated with the BBB, Google and Yelp! Vacuum your home every day for the next two weeks after our visit to remove any lingering eggs that might be in your home. Daily vacuuming can reduce the flea population by up to 30% by itself. Remove any debris or clutter from areas of a potential infestation. Keep your lawn cut short whenever possible. The vibrations of a vacuum cleaner can also stimulate the movement of fleas and ticks into the areas our technicians treated in your home. Working with our team will help to reduce exposure levels to these pests when you are enjoying the outdoors on your property. You may also wish to speak with your veterinarian about a treatment program that can reduce the population of fleas and ticks on your pet. You deserve to enjoy your backyard here in Athens without worrying about the health of your family or pets. 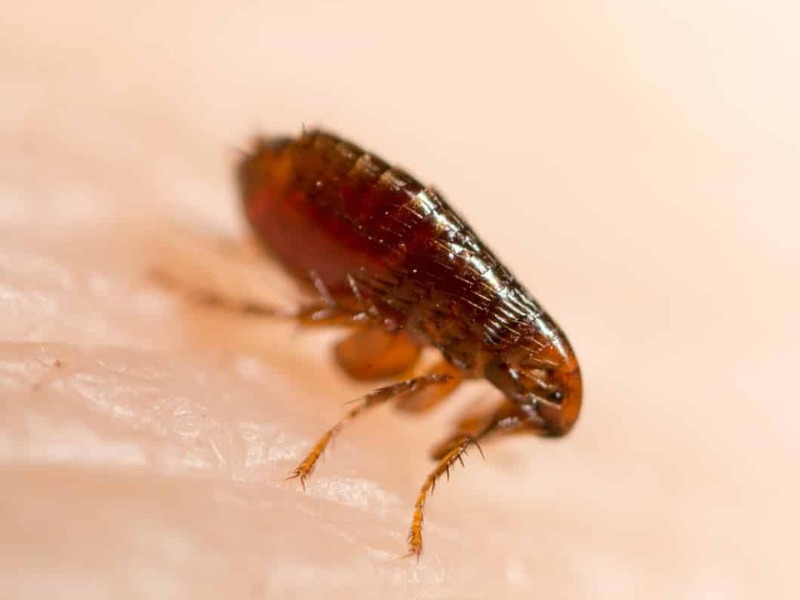 Talk to our team of experts today about your concerns regarding this pest, and then we will work to reduce the populations around your property. All it takes is one bite for their presence to become a potential problem. It’s time to take the fight to fleas and ticks. Let’s start controlling this pest right now! AArdvark Exterminating employs exterminators who are courteous, skilled and efficient when it comes to all types of Pest Exterminators, Control & Removal. Let Aardvark Exterminating help protect your property. Business Hours: Monday–Friday 8 a.m.–5 p.m. Copyright © 2019 - Aardvark Exterminating. All rights reserved.